The high-security federal jail known as the Metropolitan Correctional Center, near Foley Square in New York, on Jan. 21, 2017…. The high-security federal jail known as the Metropolitan Correctional Center, near Foley Square in New York, on Jan. 21, 2017. 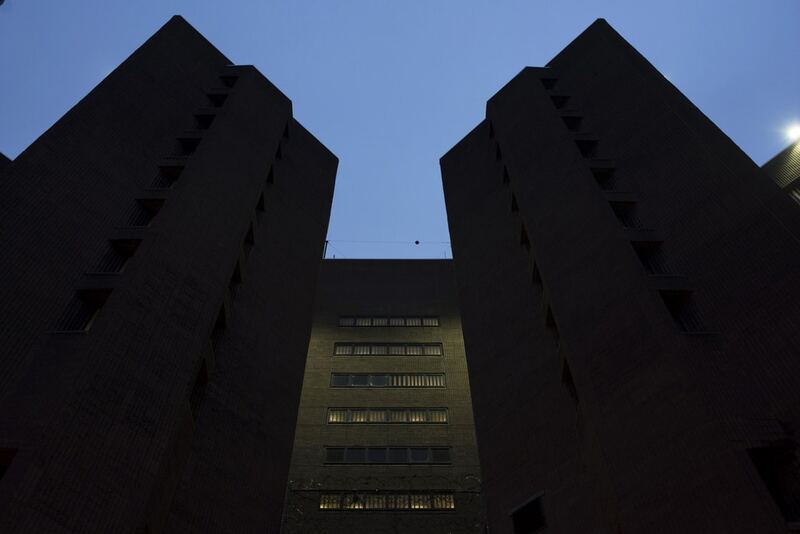 The facility has housed some of New York’s highest-risk federal defendants. Joaquin Guzman Loera, the Mexican drug kingpin known as El Chapo, has been held there since January. Editor’s note: Martin Gottesfeld is currently serving a 10-year federal prison sentence, convicted of a cyber attack against Boston Children’s Hospital, in protest of the facility’s controversial treatment of a young girl in its custody, and his case has been profiled by Rolling Stone magazine. 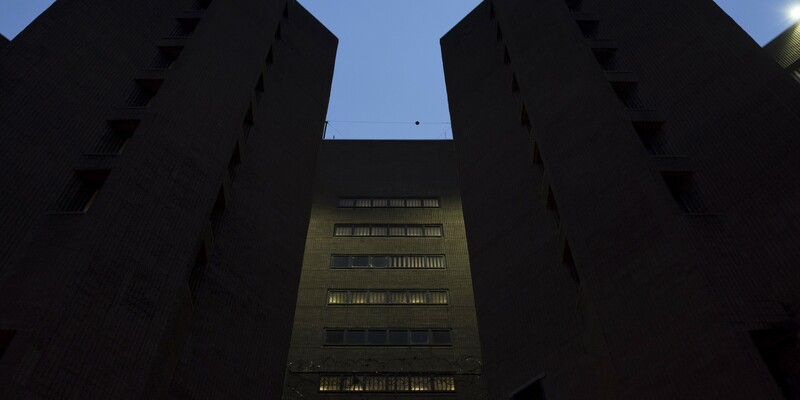 During a period of his confinement, he was housed in a unit adjacent to Joaquin “El Chapo” Guzmán at the Federal Bureau of Prisons’ Metropolitan Correctional Center, in New York. Access to the facility is severely restricted, and this is the first account of the conditions surrounding Guzmán’s detention during his trial. See FreeMartyG.com for more on Gottesfeld’s case and background. At the tail end of the Obama administration, I was locked up a stone’s throw away from Joaquin “El Chapo” Guzmán at the Federal Bureau of Prisons’ infamous Metropolitan Correctional Center, New York (MCC NY), in downtown Manhattan, where Guzmán is currently being held during his ongoing federal trial. I was there writing and waging a hunger strike when “El Chapo” first arrived. Much has been written about El Chapo’s trial, but close to nothing about his conditions of confinement, as the security around him has made access off limits to any journalist other than me. I’m currently suing the Bureau of Prisons and MCC NY for both state and federal civil rights violations, related to the conditions where El Chapo is held, and I’m exploring class-action certification. My lawsuit against MCC NY offers a new and rare glimpse into prison life in the solitary confinement cells which El Chapo has now called “home” for nearly two years. Besides simply recovering my fees and costs, however, my goals aren’t financial. Instead I’m asking the court to force MCC NY to respect human dignity, the First Amendment, federal regulations, and other human and civil rights. There’s a lot of mystery surrounding the 10-South unit at MCC where “El Chapo” is being housed. Much of that is fueled by the effects of it being a “SAMs” or “special administrative measures” unit. As such, the inmates aren’t supposed to come into any visual or other contact with other inmates. Even magazines they receive in the mail must be pre-screened by the FBI for the supposed reason of intercepting hidden messages. Outbound communications are similarly restricted and monitored in real time. But it’s virtually impossible to prevent inmates from seeing other inmates. 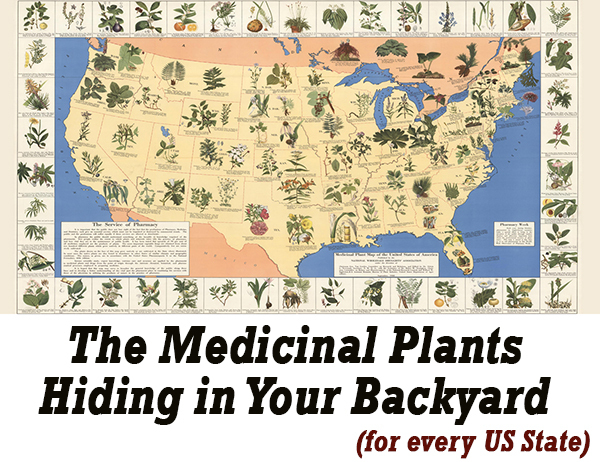 For my part, I was regularly paraded to the 10-South medical exam room during my 81 consecutive days in solitary confinement at MCC NY, and I shopped at the 10-South commissary. When I caught glimpses of El Chapo being moved, I noted his unassuming appearance. He was about my height and weight, and I’m 5’7”, 180 pounds (obviously, though, I weighed less during my hunger strike). Once El Chapo arrived at MCC NY, the staff appeared to be doing everything they could to get him to roll on the rest of the Sinaloa Cartel and especially to try to get him to reveal where he’s allegedly hiding $ 1 billion or so in assets in Mexico. The prison transferred Spanish-speaking staff to his unit in case he ever let something slip in his native language. This also seemed to be part of a “good cop, bad cop” routine. They vacated the cell next to his in an apparent effort to reduce his conversational options. They seemed to hope that he’d get lonely and decide to speak to prison staff. Even within the “SAMs” program though, El Chapo was subject to extra precautions. While every inmate in 10-South is also on a status called a “lieutenant hold,” which requires using a lieutenant and two lower-ranking Correctional Officers to move them anywhere, El Chapo was a “3 lieutenant hold,” meaning 3 lieutenants were necessary to move him. Finding three available lieutenants was no easy task, which meant moving El Chapo was always an all-consuming process. 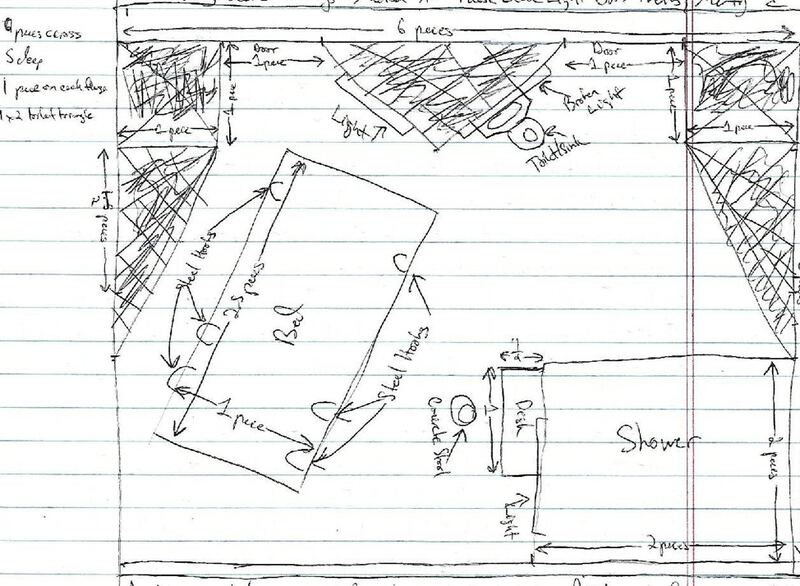 The above is my hand-drawn diagram of the cell where MCC NY houses high-profile inmates like El Chapo. I made that drawing as I was standing in that cell myself about 2 years ago, but MCC NY wouldn’t let me mail this diagram to the press.